On May 9th, Mercury transited the Sun and the crack physics solar telescope team (Randy Milstein and Jim Ketter) took a chance on a break in the clouds and set up 3 telescopes in the quad. The sky cleared and over 40 people stopped by to see the transit before it ended right before lunch. If anyone has a photo taken at this event, send it along and we will post it. 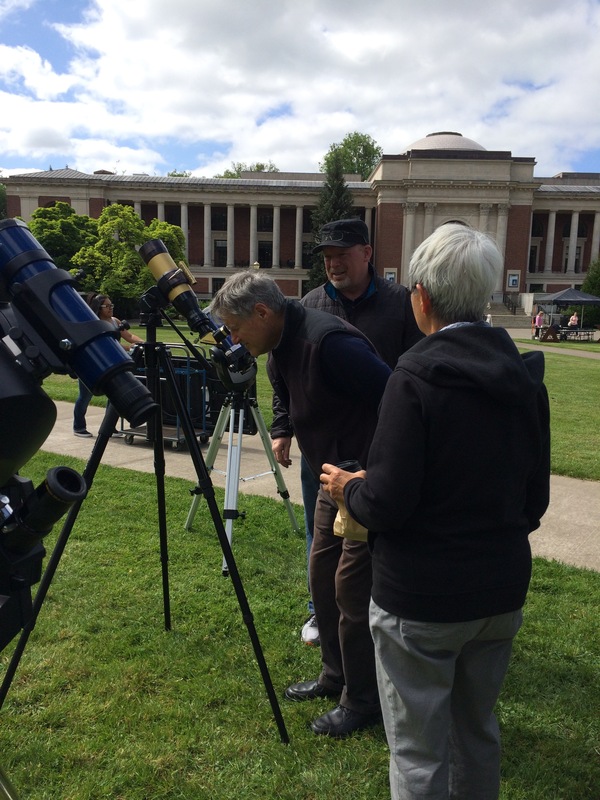 Randy Milstein helps visitors see Mercury transit the sun.